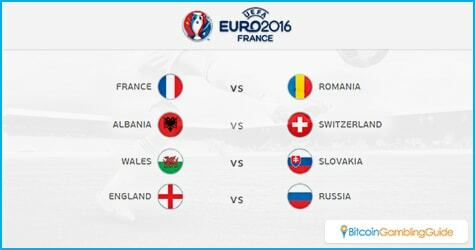 The UEFA European Championships 2016, or just Euro 2016, is one of the most anticipated sports events in Europe. Happening only every four years, every soccer fan on the continent has been waiting for this event. Spain was the winner the last time it was held, and everyone is hungry for the crown. Starting from the first match on June 10 to the finals in July, over 24 countries will be battling for the top spot in France. The championships are big business as fans from all over the world will be trooping to attend the matches and cheer on their favorites. This can be a lot of potential profits both for sports bettors and sportsbooks. The action will be fast and furious both on the field and off it as close competition sets off energetic wagering from the sidelines. With potential earnings in the millions from the hottest sports and matches like the Euro 2016 , a lot of sportsbooks will want to get a piece of that pie. BetVictor, an online sportsbook, has shown some initiative and launched a promo to get an early slice of the potential sports betting action. Calling its promo the Million Pound Goal, BetVictor is offering a million pound sterling to anyone who manages to guess which player will score the first goal in the final match, along with the exact minute that the goal will be scored. That bet is a pretty long shot. It does not help that bettors will be initially limited to one guess for any £5 bet they place with BetVictor. Fortunately, people can get more bets for every five bets they make during the entire tournament. According to the math, this means that if a bettor puts down a wager on every game in the series, then they can get around 11 guesses for the Million Pound Goal. Qualified bettors can make their bets once the final two teams have been picked out for the final match. This is an impressive promotion and people can expect similar programs as June approaches. Other sportsbooks may not be offering great promos yet, but they have not been idle. 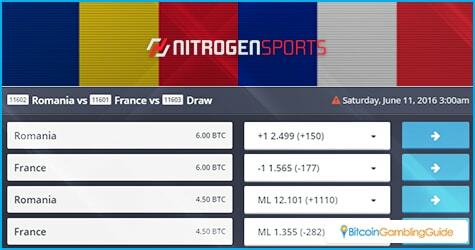 Nitrogen Sports, one of the biggest Bitcoin sportsbooks out there, already has odds laid down for the matches on June 11 and 13. This includes the matches between Romania and France, Albania and Switzerland, Slovakia and Wales, Russia and England, and more. The odds have France, England, and Germany being early favorites. VitalBet is not one to be left behind. The sportsbooks already offers odds on matches up to June 15. The betting options are not as many as those offered on Nitrogen Sports, but the odds are simpler to read. France and Germany are the big favorites here, but instead of England, Spain completes the trifecta of those favored to win. It is still early days, though. 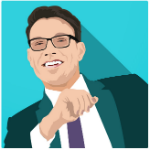 These odds can quickly shift as various factors interfere. The Euro 2016 fever is sure to get even hotter. Expect other sportsbooks to start releasing their odds in the coming days, just as they did with the recently concluded UEFA Europa League finals and other football leagues in Europe. In fact, Sportsbet.io, which will officially launch on June 1, has already featured an exciting promotion of the event that lets players enter the prediction game for free in an aim to win their share of the 3 BTC prize pool.